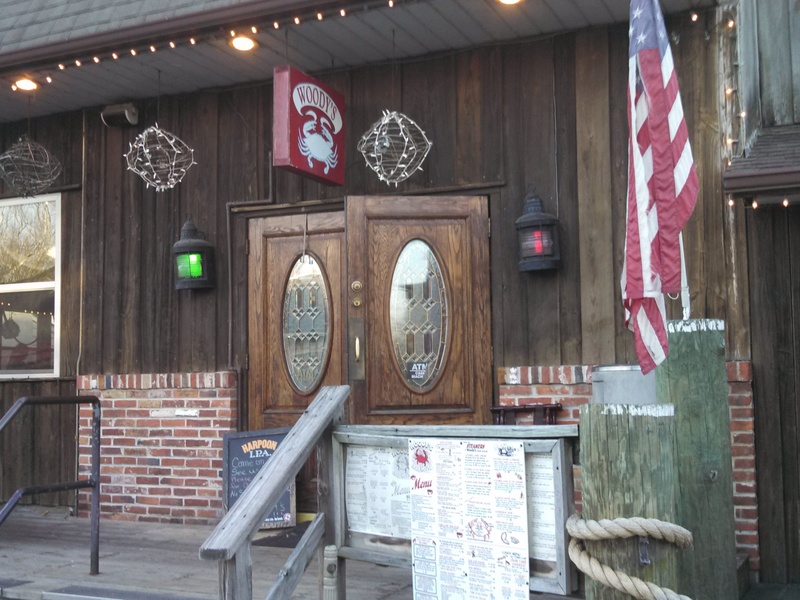 We discovered – quite by accident – North East, MD (pop. 3678) during a recent trip north from Florida. 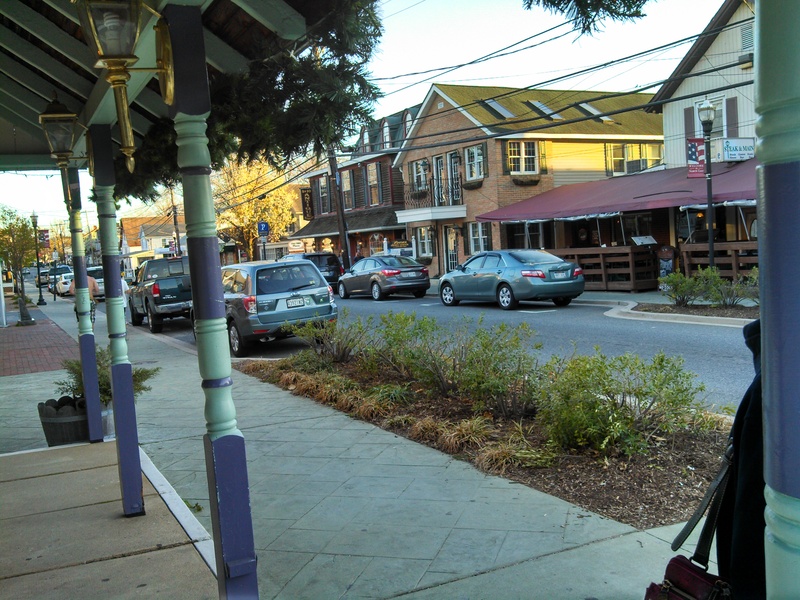 Located on the banks of the Northeast River (which branches off from the Chesapeake Bay), this quaint, sleepy little town has a scenic waterfront, many historic buildings, museums and parks. The weather was great so we decided to meander along Main Street where we enjoyed the beautiful old restored buildings that now house unique shops, antique stores, local restaurants and Rorie’s favorite…a candy store. Not a chain store in sight! At the southern end of Main Street is the Day Basket Factory. Local craftsman still hand weave white oak baskets just like they have for over 130 years. Using local lumber, it takes 3-4 days to complete the process for each basket. Really a labor of love! After our window-shopping walk we wandered into Woody’s Crab House (http://www.woodyscrabhouse.com), a bustling casual restaurant with a huge front porch and lots of tables for outdoor dining. What a find this place was. 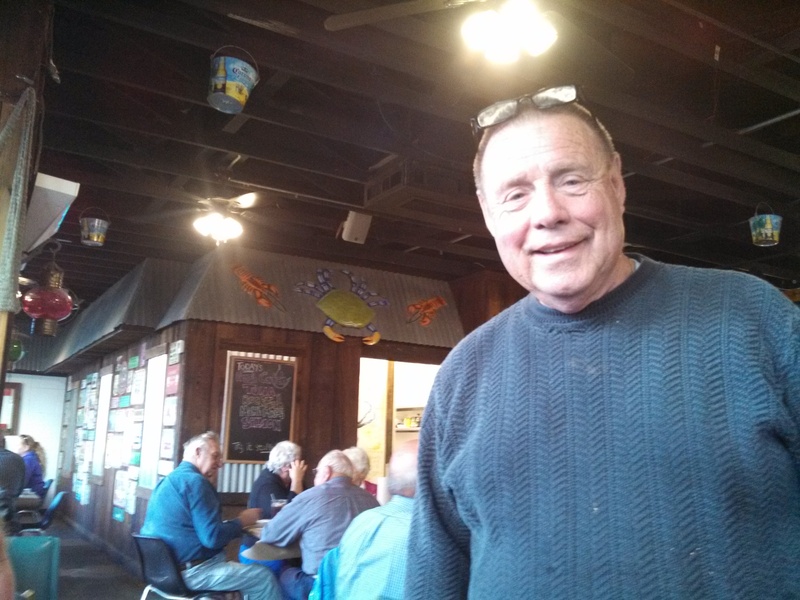 Woody’s specializes in Chesapeake Bay crabs and, since I love seafood and Bart loves really great “no filler added” crab cakes, we were in heaven. Brown paper covers the tables and peanut shells cover the floor and there is just a great neighborhood vibe to the restaurant. 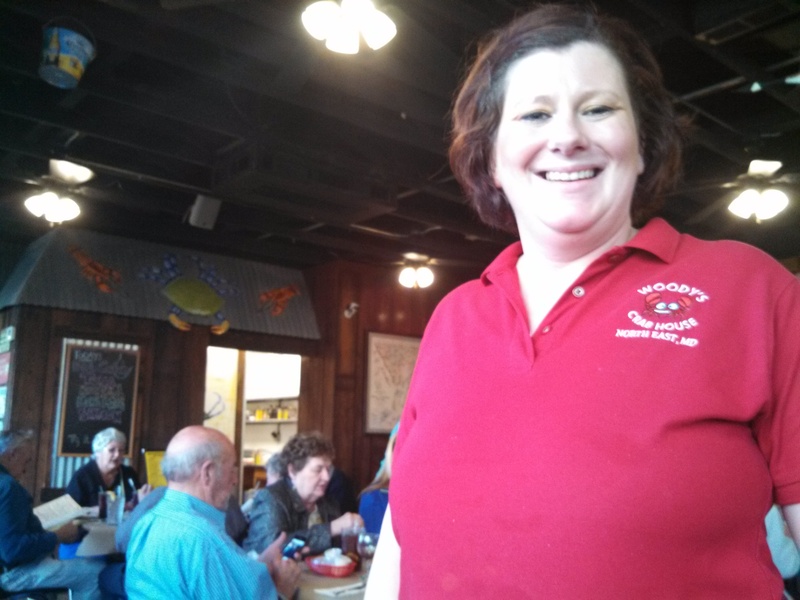 Our waitress Dena was a terrific server – a happy and energetic woman who provided great service. And, lucky for us, we happened to be there on a night when the owner – whose name just happens to be, yup, Woody – was in the restaurant. We had a nice chat with him and learned how he turned a closed up broken down bar into a local hotspot. This place does local seafood right and don’t even get us started on the hush puppies. Pure bliss. So if you’re in the area, hungry or just looking for a place to take a break and sightsee, be sure to visit North East (and Woodys). 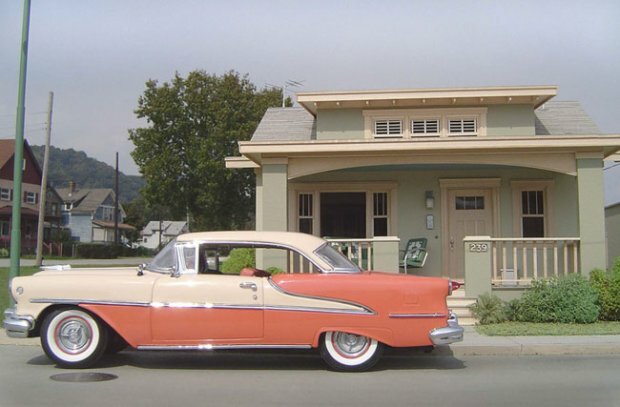 It’s another great little off-the-beaten-path town we’re proud to shine a light on. Rorie and I got on the road early yesterday morning to check out some small Gulf Coast towns about an hour and a half south of Sarasota. Our adventure took us to Punta Gorda, where we picked up a rural 2-lane byway called Burnt Store Road, the only way to get to Pine Island after leaving the Tamiami Trail. Legend has it the road was named to “honor” a native Calusa Indian who burned down the General Store in retaliation for the tribe being pushed off their land. There wasn’t much to see on this 17 mile route other than farmland and the occasional housing development. But the brief boredom we experienced on this leg of the trip was well worth it because it brought us to the funky, colorful, artsy town of Matlacha (pronounced Mat-la-shay (pop. 735) and we did get to rock out to some great old 60”s music. 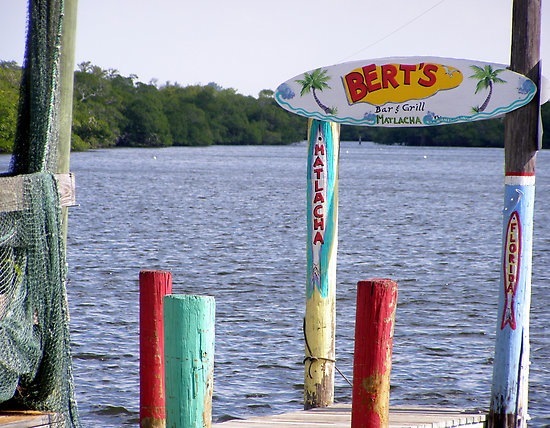 After crossing what the locals call the “fishingest bridge in the world”, we immediately found and nestled into outdoor seats at Bert’s Bar & Grill (http://bit.ly/1qJqfXO). 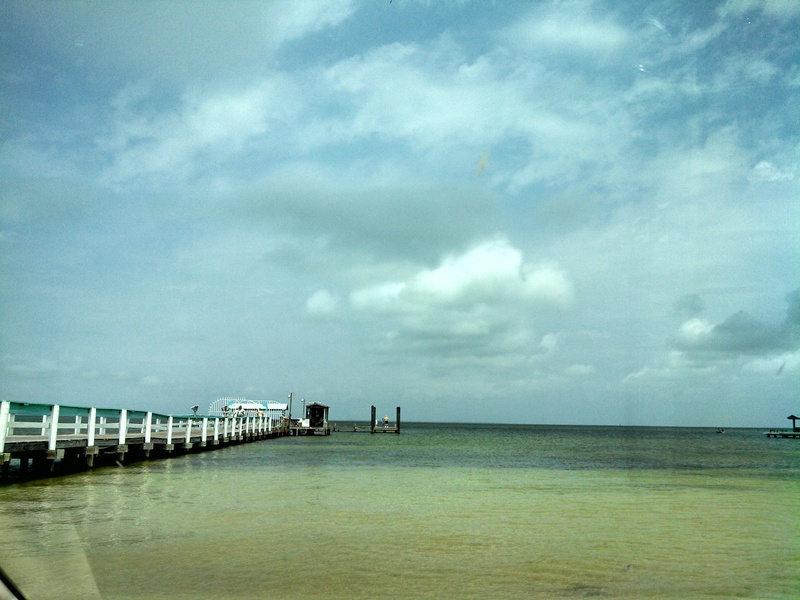 This popular restaurant is literally on the water and features excellent grouper sandwiches and shrimp tacos. Rorie’s meal came with a pile of incredible, thinly sliced, crispy homemade potato chips which she was kind enough to share. Even dedicated road warriors need sustenance. After a refreshing lunch, we headed to Pine Island with St. James City (pop. 4,105) at the southern end and Bokeelia (pop. 1,997) on the northern tip. This area is known for its amazing subtropical fruit farms (featuring mango, pineapple and papaya) and as the place to catch a variety of fish including the granddaddy of them all – tarpon. The main route to and through St. James (Stringfellow Road) dead ends at the water, and the nearby original schoolhouse from 1887 is now home to a popular dining establishment called The Waterfront Eatery. 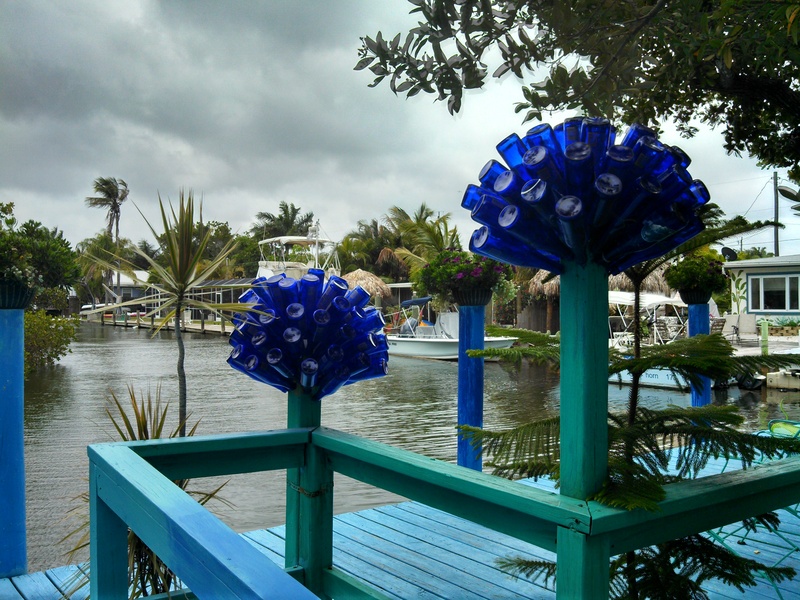 As we headed back to Sarasota, we stopped again in Matlacha to poke around in the Crayola colored cottages housing art galleries, craft stores and souvenir shops. We saw Paul McCartney (and John, George and Ringo) at the Sgt. 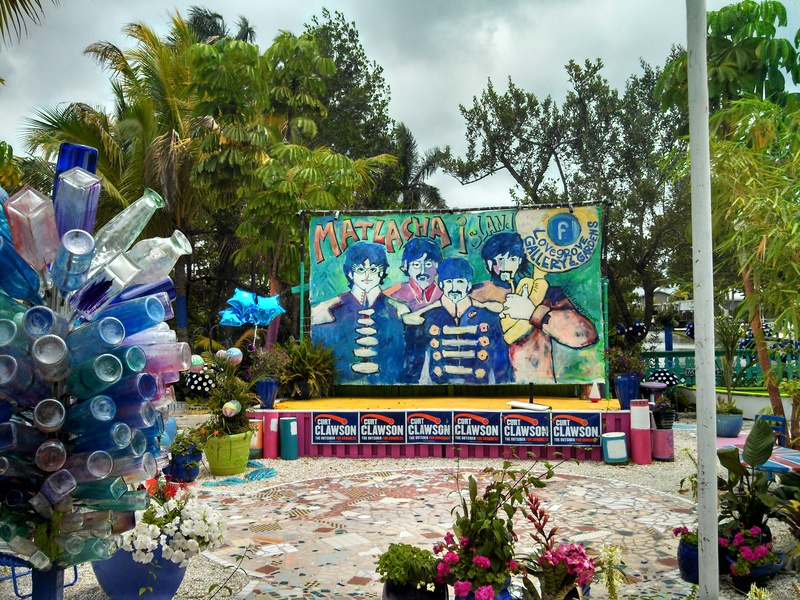 Peppers Lonely Hearts Club Band performance behind Leoma Lovegrove’s art gallery and shop. 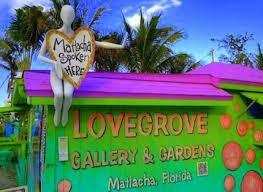 Leoma is a Beatles fan and famous Florida artist and her creative, vivid paintings and hippy style are amazing. She even has a handpainted, psychedelic VW van parked in her driveway. Since it had been about 2 hours since Rorie had last eaten she was naturally starving and drawn to a sweet treats shop (there’s a big surprise) called Great Licks which serves Luxury of Queenies’ locally made ice cream. Queenie creates her decadent temptations using all natural flavorings and locally grown fruit. 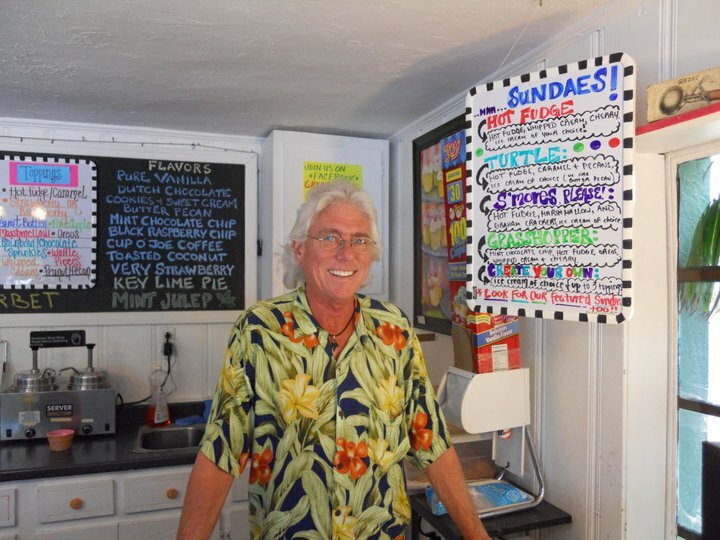 Here’s GL’s owner BJ Hickey, who gave us the lowdown on Pine Island’s history and his shop (he told us he “retired” 7 years as a teacher in Illinois and now works 7 days a week. But, he smiles a lot so it seems to work well for him). Rorie was smiling too after she devoured her Black Raspberry Chocolate Chunk cone (no she didn’t share it with me). Our total round trip racked up a mere 212 miles on the odometer and our pedometers weren’t much higher. We didn’t even walk enough to work off the calories from the chips and ice cream but we didn’t care. We had a great time, found nooks and crannies filled with artistic gems, viewed gorgeous scenery, and as always, met the most interesting people doing amazing things in small towns.